Pressure Canner Gauges need to be tested every year for accuracy to make sure that you are processing at the correct pressure for a safe product. 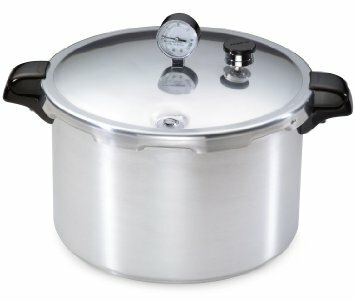 If you recently purchased a new canner it is also recommended to test them. All components on the lid are checked also including the gasket and safety plug. • BRING: Lid with dial gauge, rubber gasket/ring and safety plug. Washington State University Extension has an online food preservation program called PRESERVE THE TASTE OF SUMMER. It is a series of eight online lessons for the in-home consumer who wants to learn about food preservation and food safety. It is designed for beginning canners and veteran canners who want to update their knowledge and skills. The lessons provide the most current USDA approved food preservation recommendations. Topics include food safety, the basics of canning and information on specific food preservation methods, including pressure canning, boiling water bath canning, freezing and drying, as well as making fruit spreads and pickled foods. A certificate of completion is provided at the end of the course. Visit https://registration.extension.iastate.edu/ to register for the online series. To participate, you will need a computer made in the last five years and have a stable internet connection. The cost for the online series is $25. WSU-Klickitat County Extension may offer hands-on food preservation classes. Class topics may cover canning fruits and pie fillings; pickle products and making sauerkraut; jams, jellies and spreads; and tomatoes and salsas. Hands-on classes will be determined by interest. You must complete the online training before you can take a hands-on class. For information about the online course or interest in the hands-on food preservation classes in Klickitat County contact us. For more Food Safety information contact us.